According to the National Center for Charitable Statistics (NCCS) there are over 1.5 million non-profit organizations in the United States. And while the tough economy the last few years has posed challenges to these social, environmental, and health related organizations, large charities that enjoy major brand recognition and strong messaging like American Cancer Society, The American Red Cross, etc. have been able to hold their own in the finite philanthropic pie. No doubt, lesser-known organizations representing equally vital missions but operating with far smaller budgets need a piece as well. Filling this niche is Julia Reich, Founder and Creative Director of Julia Reich Design [now Stone Soup Creative], a full-service design studio founded in NYC in 2001 to provide design and branding services to medium-sized organizations with revenues of $1 million up. In 2006, Reich, who received a design degree from the Pratt Institute in Brooklyn, moved her life and business to an old farmhouse in rural central New York and enjoys access to nature, fresh, healthy food, space for her pets, and a beautiful landscape. I spoke with Reich about her studio and its work and how it’s helping non-profits help the world. 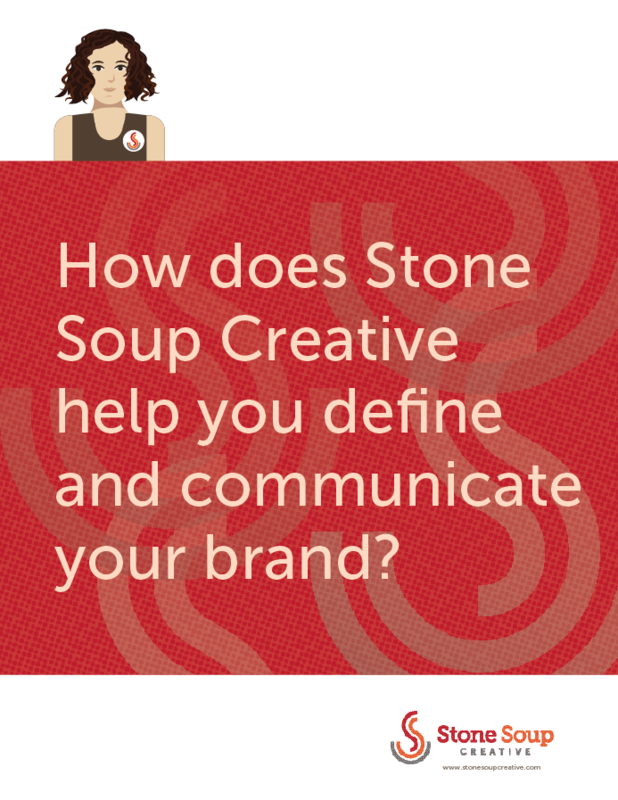 What’s the mission of Julia Reich Design [now Stone Soup Creative]? We provide a range of creative services, including website design and website development; logo design and branding; brochures, annual reports, and overall marketing strategy to medium-sized nonprofit organizations rather than small startups or really large organizations. We know the social sector. We focus on our nonprofit clients’ unique brand stories and tell them meaningfully, using strategic content and visual creativity, helping our clients gain exposure and build support so they can make the greatest impact possible in the world. You mentioned “brand stories.” For-profit businesses seem talk a lot about these along with “story telling,” and increasingly, so are non-profits. What does that mean and how do you do that? For me it means helping [my clients] develop a strong brand with visuals, messages, and positioning that reaches their audiences effectively. I think though what it really means in the world of non-profits is developing emotion-based, inspiring messages that communicate their work, and then finding the right outlet for those messages, such as testimonials, a home page, press releases, social media updates, newsletter stories, etc. 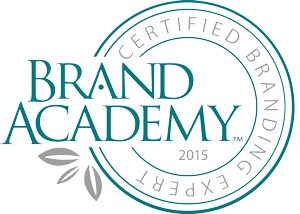 How important are components like logo, brand, websites for non-profits? The reality is that funding is limited and non-profits are operating in a crowded marketplace. There are over 1.5 million non-profits in the US – strong branding helps an organization stand out. An organization’s brand is everything it stands for – its vision and values, and the emotional connotations it inspires in everyone who comes in contact with it. The benefits of investing in a strong nonprofit brand are expanded visibility; improved fundraising results, positioning your organization as experts, better communication, and an increased understanding of your mission and results. What are some unique challenges to working with non-profits? Generally speaking, they have been slower to climb onto the branding and marketing bandwagons than their for-profit counterparts because they may perceive those efforts as too commercial – even immoral – and antithetical to the important work they’re doing. To them, “marketing” means an obnoxious ad campaign. Also, they perceive these efforts as too expensive and think the public doesn’t like to think of a charity allocating their budget towards commercial aims when they could be used for charitable causes. Are there any differences in your approach to working with non-profits as opposed to working with for-profit companies? I’m passionate about issues involving food and food policy, the environment, and education, so naturally I am immediately engaged with clients in these sectors. They don’t even have to be nonprofits, they could be businesses with some sort of social or progressive aspect to their mission and values. However, with non-profits, budgets can be limited and individuals tend to wear several hats within the organization, and communication can be disorganized and inefficient. If I am working with a committee, it can take patience and facilitation skills to achieve consensus on decisions. For-profit businesses are definitely more interested in the bottom line, and accountability. It’s a cultural difference that takes getting used to if you’re not used to working with npos. What strategic approach do you take to help boost an organization’s effectiveness? Our first step is to listen, learn, and examine your organization from all angles. We may talk to key stakeholders or conduct other types of market research. We may audit marketing materials and those of organizations with similar missions, or conduct a brand audit and assessment. Together, we’ll explore what’s best for your organization. Once the Discovery phase is complete, we will take the information gathered and work together to uncover your unique story and true essence that sets the tone and strategy for your brand. We will develop a name, a tagline, and key messages. The Creative Design phase begins with exploration of conceptual directions and possibilities. We take the written snapshot from the Discovery and Messaging phases and turn it into a representational and memorable visual language. We’ll compile visual references and aspirational imagery and create a palette of color, fonts and style for your logo and overall brand image. Through cycles of creative development and client participation via feedback integration, the snapshot becomes a fully realized brand. If there are applications included in our scope of work, we will present the various projects as they are ready for review and work with you to finalize design, layout and content. Once each project is approved, we will produce all final files and send to print or to web development. We will manage the entire printing and/or web development process to maintain quality and accuracy of the finished product. We will create Brand Guidelines, which are hands-on instructions on how to integrate your new brand into all your marketing materials. Another aspect to my strategic approach is to help clients develop a Marketing Strategy, which focuses on how to best promote the organization through different media including public relations, website, email, social media, events, brochures, and other tactics. In general, my philosophy is that good design follows good content. If the writing or messaging is crappy, the design will just be a band-aid. I try to get involved with my clients and projects on the content level before designing it – either by working with them to tighten their writing, or by hiring us to develop their content.